Seed investment firm TenOneTen Ventures of Century City has closed an $18 million fund. BuzzFeed will not be moving into Shorenstein Properties’ Ford Motor Factory Building after all. Exxon Mobil Corp. on Tuesday announced it has agreed to sell its damaged Torrance oil refinery, a pair of Vernon refinery product centers and other related California assets for a reported $537 million. Will restrictions on cars help or hurt business in downtown Santa Monica? With an ax reportedly preparing to fall on jobs at the cash-strapped Los Angeles Times and the mood in the newsroom pitch black, at least some veteran staffers appear ready to leave. The Dow Jones industrial average rose 236 points in Wednesday trading to close at 16,285. The S&P 500 rose 36 points to 1,920. The Nasdaq rose 103 points to 4,620. The LABJ Stock Index rose five points to 217. California’s economy is expected to grow at a faster rate than the nation’s over the next five years but is projected to slow down after next year, according to the Los Angeles County Economic Development Corp.'s annual forecast, the Los Angeles Times reports. However, while the housing recovery will continue, salaries are not keeping up with the rising home prices statewide. Environmentalists and health advocates are applauding federal rules signed into law this week that aim to monitor pollution released from oil refineries, the Daily Breeze reports. The mandates require reduced emissions and, for the first time, require refineries, including the six in Southern California, to put canisters along their fence lines that regularly sample the air for hazardous material. Evan Spiegel, chief executive of Venice’s Snapchat’s, at the age of 25, is the youngest billionaire in the world with a net worth of $2.1 billion, according to Forbes, the Los Angeles Times reports. His co-founder of the social-networking startup, Bobby Murphy, is also on the Forbes 400 list for the first time. The private sector added 200,000 jobs this month – partly due to a boost from big companies – which was above the 194,000 expected, according to a report this morning from payroll firm ADP, CNBC reports. Who said waiting for the bus has to be boring? Soon, riders will be able to use Wi-Fi, charge their cell phones and get real-time information about bus arrivals, LAist reports. While there’s one stop in historic South Central that currently has the capability, bus shelters with the new technology are scheduled to pop up over the next nine months. The Dow Jones industrial average was up 193 points in early trading Wednesday to 16,242. The S&P 500 was up 25 points to 1,909. The Nasdaq was up 65 points to 4,583. The LABJ Stock Index was up two points to 214. Solar power-plant company SolarReserve of Santa Monica has raised $19.3 million in convertible notes to invest in possible solar power plants and related insurance bonds in South Africa. Digital advertising agency Dustland of Culver City has been acquired for an undisclosed sum by Boston’s Verndale. A “Shark Tank” type pitch fest for marijuana businesses opened at the L.A. Hotel Downtown Tuesday, attracting a number of budding local entrepreneurs. Cherokee Global Brands announced Tuesday it had entered into a license agreement to expand its European distribution. Passenger volume continued rising in August at Los Angeles International Airport, putting the airport on track to exceed last year’s record traffic, according to figures released Tuesday by Los Angeles World Airports. A struggling Cerritos office property changed hands earlier this month for $30.5 million. The Dow Jones industrial average rose 47 points in Tuesday trading to close at 16,049. The S&P 500 rose two points to 1,884. The Nasdaq fell 27 points to 4,517. The LABJ Stock Index rose one point to 212. Little Tokyo, between the trendy Arts District and bustling downtown, appears to be drawing more interest from developers. An Atlanta real estate company has purchased the Brunswig Square office and retail complex in Little Tokyo for a price estimated to be in the mid-$60-million range, the Los Angeles Times reports. The buyer wants to preserve the building’s character and orient it toward creative tenants. It’s still September, but already the holiday season is starting to rev up for retailers. JC Penney said it is planning to hire 1,500 seasonal employees in Los Angeles this year, the San Gabriel Valley Tribune reports. Customer service positions as well as cashiers are among the positions that will be filled. There’s no word on whether the goal is to actually make sales clerks available to help. L.A.’s newest mall, the Village at Westfield Topanga, opened recently but all 17 restaurants were delayed while work continued. However, the first restaurants started opening Monday, the Los Angeles Daily News reports. About 100 people lined up early to be among the first to eat at the new Panera Bread and for the chance to win free coffee for a month. A group of developers is offering to build trophy houses, rivaling the size of the White House, near the Hotel Bel Air at a starting price of $115 million, Bloomberg reports. The first lot in Park Bel Air is expected to go on the market Tuesday. Buyers may choose to buy a lot for $45 million and develop it themselves. Construction is expected to begin on the first estate in February. Comcast NBCUniversal, the parent company of Universal Studios Hollywood, has paid $1.5-billion to buy a 51 percent stake in Universal Studios Japan in Osaka, the Los Angeles Times reports. The park has a license from NBCUniversal to operate rides such as Jurassic Park, the Ride and Harry Potter and the Forbidden Journey. Company officials say they plan to introduce attractions to the park over the next five years. The Los Angeles County Fair may have been four days shorter this year, but attendance was up 6 percent, the Los Angeles Times reports. Fair organizers attributed the higher numbers to a stronger economy, better weather and, of course, the introduction of deep-fried guacamole offered by Charles Boghosian, also known as Chicken Charlie, one of the fair’s most popular food vendors. The Dow Jones industrial average was up 69 points in early trading Tuesday to 16,071. The S&P 500 was up 13 points to 1,895. The Nasdaq was up 34 points to 4,578. The LABJ Stock Index was up two points to 213. UBeam Inc. of Santa Monica said it will begin shipping its wireless-charging product within the next calendar year. Online jeans seller DSTLD is “testing the waters” for a $10 million public offering of its stock thanks to new Securities and Exchange Commission rules. California can expect to see continued job growth and lower unemployment over the next three years, but housing costs are expected to continue to rise, according to the UCLA Anderson Forecast released on Monday. Which L.A. billionaire would you like to see own the Los Angeles Times? Beleaguered downtown apparel maker and retailer American Apparel Inc. has been notified that it risks being delisted from the New York Stock Exchange. As the embattled Los Angeles Times faces a continuing decline in revenue, speculation is rampant in the newsroom that a buyout package will be offered to staff next week. The Dow Jones industrial average fell 313 points in Monday trading to close at 16,002. The S&P 500 fell 50 points to 1,882. The Nasdaq fell 143 points to 4,544. The LABJ Stock Index fell six points to 211. Longtime Sony executive Steve Mosko has been promoted to chairman of the company’s television business. Beginning Thursday, swiping your credit in the checkout line will start to become a thing of the past, the Los Angeles Times reports. New cards, with chips embedded, are designed to weed out criminals. However, the credit card industry is also shifting responsibility for paying for counterfeits to merchants and card issuers, and some small business owners say they are not prepared for the added expense. Many restaurant and store owners are concerned about a city proposal that would legalize street vending, the Los Angeles Daily News reports. Some argue that street vendors operating legally would make it more difficult for mom-and-pop eateries, in particular, which are also fretting about the new minimum wage law. New styles can be jarring. And the new façade of the Petersen Automotive Museum is being described as an eyesore by many and even as the “Edsel of architecture,” the Los Angeles Times reports. The museum, controversial exterior and all, is scheduled to open in December. The state of California plans to give $25 million to help buy the Taylor Yard property on the Los Angeles River in Cypress Park, the Los Angeles Times reports. It is the largest remaining piece of undeveloped riverfront land and has been referred to as a “crown jewel” by Los Angeles Mayor Eric Garcetti. City officials are working with the federal government to share the $1.4 billion cost for restoring 11 miles of the river. The West Basin Container Terminal in San Pedro is using technology designed by Venice’s Cargomatic that helps smaller cargo owners get their goods through the port faster, the Daily Breeze reports. Sony Pictures’ “Hotel Transylvania 2” had the biggest September opening on record, making $47.5 million in its North American debut, the Hollywood Reporter reports. Warner Bros. Nancy Meyers’ film "The Intern," with Robert DeNiro and Anne Hathaway, came in at No. 2, making $18.2 million. Comedian Steve Martin can now add museum curator to his repertoire as he is curating an upcoming exhibit at the Hammer Museum called "The Idea of North," which will showcase the work of famous Canadian painter Lawren Harris, LAist reports. It will include one of Harris’ paintings that sold for $3.5 million. The Dow Jones industrial average was down 195 points in early trading Monday to 16,120. The S&P 500 was down 27 points to 1,904. The Nasdaq was down 80 points to 4,606. The LABJ Stock Index was down three points to 214. Graham Christie urges Angelenos to get moving on funding for projects to ease traffic. AES pushes back against city, state officials in plan to replace its Redondo Beach plant. AES’ plans for its Redondo Beach power plant are at sea as city and state rules limit the company’s options. Coolhaus shop insists Jewish-inspired menu not chopped liver. Coolhaus hopes customers will be kosher with its limited-time deli-inspired flavors. ENTERTAINMENT: Jaunt’s production services draw $65 million investment. Virtual reality production firm Jaunt draws real interest and money from media companies. HOSPITALITY: Country club’s name sold separately from land. Co-owners of Beverly Hills Country Club look to reposition the L.A. business with a new name and amenities. Trucking firms already struggling with vehicle costs fear a new state emissions plan will further drive up expenses. HEALTH CARE: Federal rules limit ability to fight online reviews. Medical privacy rules prescribe few options for doctors coping with negative online reviews. FINANCE: Venture debt firm Hercules looks to connect maturing Silicon Beach technology scene with more funding options. Venture debt firm Hercules believes its services will add muscle to Silicon Beach’s maturing market. Any plans for Times should prioritize paper’s value to public over its value as business venture. Loss of the Los Angeles Times would leave a hole too big to paper over, writes Calvin Naito. Rena Leddy sees little room or need for street vendors in the L.A. Fashion District Business Improvement District. ACQUISITION: Sunny Hills shells out $61.3 million for Airport Spectrum campus. It’s the largest office building to sell in the LAX submarket in more than a decade. ART: Galleries, bookstore frame neighborhood’s large spaces as big draw. While downtown L.A.’s Arts District has seen a boom in residential development and an influx of restaurants, the most recent group garnering attention, fittingly, is arts businesses. GOVERNMENT: Business groups welcome new panel but see familiar hurdles. Even though local business groups are still smarting from their failure to stop city of L.A. leaders from raising the minimum wage to $15 an hour over the next few years, they are cheering a recent development: the creation of a City Council committee focused on job creation. EXPANSION: New business line of Marina Del Rey entrusted to existing firm. Marina Del Rey Hospital discharges hundreds of patients each year who could use a little help getting around, cooking meals or managing medications once they get home. SHIPPING: Analyst doubts latest venture will point UTi in positive direction. Struggling Long Beach logistics firm UTi Worldwide Inc., which brokers freight deliveries with trucking companies and ocean shipping lines, is trying on e-commerce for size. REAL ESTATE: Increase in deals, mergers reshuffles list of biggest players. Economic recovery comes together for commercial brokerages, driving sales and mergers. ENTERTAINMENT: Henson relies on fresh concepts after sale of famous stable. Jim Henson Co.’s creations still speak to kids even after the sale of its main stars, the Muppets. BIOTECH: Drug maker Puma among casualties of public uproar over pricing. Democratic presidential hopeful Hillary Clinton’s price-gouging allegation leads to vote of no confidence in sector. West Hollywood’s Atlantic Pearl Investments Inc. has acquired a Burbank office property for $19.8 million from a group of L.A.-area investors. Heather Bilyeu, 30, grew up in the real estate business, watching her father build custom homes in Las Vegas. E-hydrate powers up quickly with support of retail chain, TV star. Startup E-hydrate gets quick energy from a deal with Target and the backing of actress Sofia Vergara. Jason of Beverly Hills will ring up bling for Golden State Warriors. Jason of Beverly Hills sees net gain by creating the NBA championship rings for the Golden State Warriors. MEDIA: Some deep-pocketed big names floated as buyers. Wealth of interest among billionaires in buying the Los Angeles Times was revealed after the paper fired its CEO-publisher. The NFL has declined to comment on published reports that it was in discussions with the NFL Players Association to help fund a stadium in Los Angeles. A tentative $15 million settlement has been reached in a class action shareholder suit bright against Hawthorne electronics device maker OSI Systems Inc. and top executives. The founder and chief executive of ZestFinance on inclusive workplaces, living a healthy lifestyle and taking pride in your work. There’s more to life than work, or so Douglas Merrill, founder and chief executive of Hollywood’s ZestFinance, a financial services technology company, regularly stresses to his employees. The Los Angeles Business Journal’s index of the largest local public companies was up for the week. The weighted LABJ index rose 3 percent to close at 217, with losers outpacing gainers 96 to 54. Eight companies closed the week unchanged. The Dow Jones industrial average rose 113 points in Friday trading to close at 16,315. The S&P 500 fell one point to 1,931. The Nasdaq fell 48 points to 4,687. The LABJ Stock Index fell two points to 217. Comcast Corp.’s online movie ticket retailer Fandango yesterday signed an agreement to purchase Brazilian online ticket retailer Ingresso.com for $71 million, according to a securities filing. The Santa Monica City Council could soon pass a minimum wage hike that would exempt unionized businesses if their employees agree, the Los Angeles Times reports. It was a hotly debated issue in Los Angeles, where the union waiver was ultimately killed. Business groups argue the union exemption is merely a way to boost union enrollments. California air quality officials are expected Friday to update an existing law by requiring a 10 percent cut in the carbon released from gas and diesel fuels by 2020, the Los Angeles Times reports. The aim is to reduce the state’s dependence on oil and increase the demand for electric, biodiesel and natural gas powered vehicles. The oil industry is against the regulation as are many businesses because it increases costs. One of the largest developers in China, Gemdale Corp., is partnering with Century City’s LaTerra Development to build a $125-million apartment and shopping complex in Hollywood, the Los Angeles Times reports. Gemdale hopes to capitalize on the demand for rental housing in Hollywood with plans to build more than 200 apartments – possibly renting for around $2,000 a month – over street-level shops on Western Avenue. The debate whether to legalize street vendors is underway. Many store owners worry their business is being undercut by sidewalk vendors who pay no business taxes or rent, the Los Angeles Times reports. However, supporters argue making street vending legal would help boost tax revenue and increase public health by requiring vendors to get health permits. City leaders are expected to discuss the issue later this fall. Federal Reserve Chairwoman Janet Yellen said Thursday that she expects an interest rate hike this year “unless the economy surprises us,” the Los Angeles Times reports. Yellen also coughed several times at the end of her hour-long talk and was seen by a medic backstage. If you thought selfies were only for Instagram and Facebook, think again. Angelenos will have a chance this weekend to take a selfie and then eat it at the “Pancake Selfie Express,” a food truck sponsored by Holiday Inn Express, LAist reports. Pancake machines on the truck will dole out free pancakes in just one minute that are imprinted with your selfie. The truck will be parked at Pershing Square, from 11 a.m. to 5 p.m., Friday and at the same time at Hollywood and Highland on Saturday and Sunday. The Dow Jones industrial average was up 189 points in early trading Friday to 16,390. The S&P 500 was up 18 points to 1,950. The Nasdaq was up 44 points to 4,778. The LABJ Stock Index was up one point to 221. E-sports fantasy league AlphaDraft, launched nine months ago, has been acquired by fantasy sports company FanDuel for an undisclosed amount. A local Tribune Publishing Co. analyst blasted the newspaper conglomerate in a memo today, saying it bungled the firing of L.A. Times chief executive and publisher Austin Beutner and called on the company to sell itself to Warren Buffett’s Berkshire Hathaway Inc. before its valuation dips any lower. Pacific Northwest grocery chain Haggen announced Thursday it plans to close all of its California stores as part of its Chapter 11 bankruptcy proceedings. Arrowhead Research Corp.’s trading day started with a bang when sunny research results released ahead of a Thursday investor and analyst meeting sent shares soaring more than 44 percent to $9.97 in pre-market trading. Century City executive search and staffing company Korn/Ferry International is making a big buy, announcing plans Thursday to buy Philadelphia’s Hay Group for about $452 million in cash and stock. It is Korn/Ferry’s biggest acquisition to date. San Francisco firm Pacific Eagle purchased Villa Malibu, a 68-unit, 136,000-square-foot Class A luxury apartment community on a 10-acre site at 6487 Cavalleri Road in Malibu earlier this month from Washington, D.C., private equity firm Carlyle Group for $62 million, or roughly $912,000 a unit. The Dow Jones industrial average fell 79 points in Thursday trading to close at 16,201. The S&P 500 fell seven points to 1,932. The Nasdaq fell 18 points to 4,734. The LABJ Stock Index fell two points to 219. A new contract to boost the pay of city employees and hire more of them has been approved by a coalition of unions representing more than 20,000 workers, the Los Angeles Times reports. It appears to be a big win for workers, who won’t have to pay more for health care premiums, despite the mayor’s desire, and the city would abandon a measure to scale back pension benefits for incoming employees. The council is expected to weigh in on the contract next month. A consumer organization is claiming ExxonMobil has hampered an investigation into an explosion at its Torrance refinery in March, the Daily Breeze reports. Consumer Watchdog also alleges, through “confidential information,” that the company may be hiding an employee whose made key decisions leading up to the blast. Exxon Mobil said quite the contrary; it is cooperating with the investigation and the employee in question has been interviewed three times. Attracting mainstream retailers to South Gate – which is 95 percent Latino – has been challenging. But the year-old Azalea shopping center has only such businesses as Forever 21 and TGI Friday’s, the Los Angeles Times reports. The article points out that the majority of Latinos in the United States were born here, which helps make southeast Los Angeles County more attractive to big retailers. The Business Journal published a similar article when Azalea was nearing completion last year. Looking for a way to stay out of court, ridesharing service Uber is arguing its drivers cannot file lawsuits because the contracts they signed called for going through arbitration first, Bloomberg reports. A San Francisco judge has ruled to grant class-action status to two Uber drivers, wanting to be reclassified as employees and not independent contractors and to invalidate the arbitration agreements. That could lead to minimum wages and unionization. Uber is now appealing to a federal court to uphold the agreements. Now that Steven Spielberg’s DreamWorks Studios is preparing to part from the Walt Disney Co., the question has come up whether Spielberg will keep the DreamWorks name, the Hollywood Reporter reports. The name has been licensed from Jeffrey Katzenberg's DreamWorks Animation and has taken a beating recently due to DWA’s disappointments at the box office. There will be a rare, total eclipse of the moon this Sunday, and the Los Angeles Philharmonic will provide a live concert as part of a special viewing party at the Griffith Observatory, LAist reports. While the free event begins at 2 p.m., the Beethoven sonatas are scheduled to kick off at 6:30 p.m. right before the moon rises. Sunday will mark the last such eclipse until 2033. The Dow Jones industrial average was down 213 points in early trading Thursday to 16,067. The S&P 500 was down 22 points to 1,917. The Nasdaq was down 56 points to 4,697. The LABJ Stock Index was down two points to 219. Must-know tech news of day. SAG-Aftra video game voice actors are considering a strike after failing to reach a collective bargaining agreement with video game studios. A federal appeals court ruled Wednesday that Warner Bros. Entertainment’s DC Comics Inc. owns the copyright to the Batmobile as it appeared in the 1960s television show and 1989 film. Atlanta’s Crown Paper Group Inc. has bought independent corrugated sheet producer Montebello Container Corp. in Montebello, including its three Los Angeles-area plants, Crown announced Wednesday. Nearly a month after an explosion in the basement of landlord Jamison Inc.’s 20-story office tower at 811 Wilshire Blvd., the building is finally open. The Dow Jones industrial average fell 51 points in Wednesday trading to close at 16,280. The S&P 500 fell four points to 1,939. The Nasdaq fell four points to 4,753. The LABJ Stock Index fell one point to 221. In a big deal for L.A.’s growing craft beer scene, Atwater Village brewery Golden Road is being acquired by beer giant Anheuser-Busch, the companies announced Wednesday. Soon-Shiong to Buy L.A. Times? Dr. Patrick Soon-Shiong, the wealthiest person in Los Angeles with a net worth of $15.3 billion in May, is seriously considering buying the Los Angeles Times, according to a source who declined to speak on the record. It is unclear whether Soon-Shiong is interested in being the sole bidder or in partnering with others. See the Los Angeles Business Journal’s coverage here. The Business Journal reported a couple of weeks ago that Californians have paid $3 billion extra for gasoline since February because regulators will not let a refinery in Torrance, crippled by an explosion, patch the damage and boost operations. Now, as the Los Angeles Times reports, Exxon Mobil Corp. has scrapped its hope of using that patch. Since the permanent repair won’t be made until this winter, it appears the state’s motorists are stuck with higher gas bills for now. The six National Football League owners, along with Commissioner Roger Goodell, have formed what’s called the Committee on Los Angeles Opportunities and aim to take a bigger role in looking at a possible NFL team move to L.A., the Los Angeles Times reports. The move may signify serious intent because it’s usually the NFL’s executives and staff who consider team moves. Owners of vacant properties could get tax breaks if they convert their land to urban gardens. At least, county officials are looking at doing that, the Los Angeles Times reports. Gardeners and advocates for better access to healthy food are applauding the effort. A new $490-million plan to put half of L.A. Unified students into charter schools – being backed by the Eli and Edythe Broad Foundation and possibly other business interests – split the Los Angeles Board of Education at its meeting Tuesday, the Los Angeles Times reports. While some were against the plan, others said they’re for more choices for parents. Brian Williams, who was fired more than six months ago as the anchor of “NBC Nightly News” after he was found to have embellished some field reports, is back at the anchor desk at MSNBC, the Hollywood Reporter reports. Williams won't have a dedicated hour on MSNBC but will work on afternoon shows. Disneyland is offering up a temporary breakfast feast on its Jungle Cruise ride for $300 a person, LAist reports. The Jungle Cruise Sunrise Safari Breakfast includes some exotic breakfast delicacies, and it all takes place starting at 5:30 a.m., before the park opens. If you think that’s too early and too expensive, think again: the breakfasts are almost booked up. The Dow Jones industrial average was down 16 points in early trading Wednesday to 16,314. The S&P 500 was up one point to 1,944. The Nasdaq was up five points to 4,762. The LABJ Stock Index was flat at 221. Dr. Patrick Soon-Shiong, the wealthiest person in Los Angeles, is considering making an offer to buy the Los Angeles Times, according to a source familiar with the situation who declined to speak on the record. As part of an emerging merger and acquisitions trend in the online content space, both Demand Media and Jukin Media have each snapped up small independent content creators for undisclosed amounts. AeroVironment Inc. was turned down for a contract under which it would have continued to develop a new unmanned aircraft for use by the U.S. Navy, the company said Tuesday. The Santa Monica real estate investment trust spent north of $200 million earlier this month on an 11-property office and industrial portfolio that includes three assets in the county, as well as buildings in San Diego, Riverside and Sacramento, according to sources with knowledge of the deal. The Dow Jones industrial average fell 180 points in Tuesday trading to close at 16,330. The S&P 500 fell 24 points to 1,943. The Nasdaq fell 72 points to 4,757. The LABJ Stock Index fell two points to 221. Thomas J. Barrack Jr., executive chairman of L.A. investment management firm Colony Capital, has extended his reach in the residential market. A new $490-million proposal backed by the Eli and Edythe Broad Foundation aims to create 260 new charter schools, enough to enroll half of the city's students over the next eight years, according to the Los Angeles Times, which got a copy of the report. The report names potential donors who could help fund the effort, including billionaires Stewart and Lynda Resnick, David Geffen and Elon Musk. The plan says the Los Angeles Unified School District has chronically failed students. Of course, school officials and unions are criticizing the plan. New Rules for Pot Shops? You’d think the city would be happy to get tax revenue from any business, but the Los Angeles City Council is considering moves to stop illegal pot shops from getting tax certificates and paying taxes, the Los Angeles Times reports. The council heard Monday that some pot shops operating illegally get tax certificates, which they offer as proof to landlords and customers that they are operating legally. Possible changes are scheduled to be discussed again in two weeks. Venice’s Snapchat has some of the nation’s top media companies lining up to offer videos and stories on the social-networking company’s Snapchat Discover, the Los Angeles Times reports. Discover only has 15 media companies in it, which gives it an air of exclusivity that has media companies vying to get in. Germany’s Volkswagen is in a schnitzel because it received as much as $51 million in green-car subsidies from the federal government for its diesel cars, which turned out to be not so clean, according to a Los Angeles Times analysis. As a result, the Justice Department is now launching an investigation. The company reportedly installed software in its diesel cars to cheat on emissions tests. Property values in Los Angeles County increased by 6 percent this year with Beverly Hills, West Hollywood and Manhattan Beach among the cities where property values grew the fastest, according to a county assessor report, the Los Angeles Daily News reports. Arcadia also was among the fastest growers because of the influx of Chinese wealth. They may be some of the wealthiest groupies around given the fact they contribute at least $50,000 each to the Los Angeles Philharmonic. But in exchange for that donation, classic music fans get the opportunity to travel the world with their favorite stars, including conductor Gustavo Dudamel, according to LAist which cited a Bloomberg story. Asia was this year’s stop on a two-week tour where fans got to witness orchestra members singing karaoke, with one groupie even bestowing Dudamel with a $1,100 bottle of whiskey. The Dow Jones industrial average was down 208 points in early trading Tuesday to 16,301. The S&P 500 was down 25 points to 1,942. The Nasdaq was down 70 points to 4,759. The LABJ Stock Index was down two points to 221. Fictional lives have always been Hollywood’s stock in trade. Now it’s investing in another form of virtual reality. The Burbank Airport Center has changed hands for $19.8 million, or about $220 a square foot. Did Clinton Tweet Send Local Biotechs Down? Democratic presidential candidate Hillary Clinton may have to shoulder the blame for the hit taken by local biotech stocks on Monday. Albertsons Cos. Inc. has put two huge Los Angeles County distribution centers up for sale. With football season in full swing, do you prefer to watch games at a sports bar or at home? The Dow Jones industrial average rose 126 points in Monday trading to close at 16,510. The S&P 500 rose nine points to 1,967. The Nasdaq rose two points to 4,829. The LABJ Stock Index was flat at 224. As its debt problems rise and weekly protests continue by employees who want to unionize, the future is not looking good for downtown L.A. apparel maker American Apparel, the Los Angeles Times reports. The company is low on cash, and its stock dipped as low as 16 cents a share Friday. However, a Delaware judge ruled earlier this month that the company does not have to pay hundreds of thousands of dollars in legal fees to the company’s ousted founder, Dov Charney. Even the scorching temperatures Sunday couldn’t keep droves of people from waiting in line to see billionaire philanthropist Eli Broad's $140-million Broad Museum on its opening day, the Los Angeles Times reports. While Broad employees gave cold water and sunscreen to thousands of museum-goers standing in the heat, they seemed to enjoy the sights when they finally stepped inside. Takashi Murakami's 82-foot-long mural "In the Land of the Dead, Stepping on the Tail of a Rainbow,” was a crowd favorite. Gov. Jerry Brown is considering legislation that would use tax credits to offset 30 percent of the cost of seismically retrofitting buildings, the Los Angeles Times reports. While the benefit would obviously help property owners, some point out that Brown has often been skeptical of tax credits. The governor has until Oct. 11 to decide whether to sign it. Warner Bros. Entertainment has signed a deal with China Media Capital to co-produce several Chinese-language films, the Los Angeles Times reports. The joint venture will be called Flagship Entertainment Group Ltd. and will have offices in Los Angeles, Beijing and Hong Kong. The first movie from the joint venture could be released next year. Twentieth Century Fox's “Maze Runner: The Scorch Trials" debuted No. 1 this weekend, making an estimated $30.3 million, the Los Angeles Times reports. Warner Bros. gangster film "Black Mass" with Johnny Depp came in at No. 2, making $23.4 million. Universal Pictures' horror film “The Visit" by M. Night Shyamalan added an estimated $11.3 million, coming in third place in its second weekend. The Dow Jones industrial average was up 119 points in early trading Monday to 16,504. The S&P 500 was up 13 points to 1,971. The Nasdaq was up 35 points to 4,862. The LABJ Stock Index was up two points to 226. The FTC’s weird obsession with phantom monopolies caused the Haggen grocery disaster, Charles Crumpley opines. A recent climate summit in California highlights how the state helped put the issue on the map, writes Ted Craver. City of Los Angeles should relent in its crackdown on family-minded entrepreneurs while issue decided. Joaquin Montes-Huerta and Alvaro Huerta want Los Angeles to give street vendors their space. HOSPITALITY: Local tavern suits up to take on DirecTV’s prices. One local bar joins others across the country in tackling what they say are high prices charged by DirecTV for NFL games. Béatrice Cointreau looks to shore up SoCal’s market with vineyard by beach. French vintner Béatrice Cointreau has put roots down in Malibu with her Admirable Family Vineyards. Terrell Mathews had never ridden a bicycle more than a couple of miles at a time – on flat ground while riding a beach cruiser, no less. ParkMe, a Santa Monica parking services firm, has been acquired by Inrix Inc., a Kirkland, Wash., provider of real-time traffic information and driving service. FASHION: Giant retailer’s plan to ax branded line cuts into Cherokee’s stock. Cherokee’s shares tumble upon news that retailer Target will end the shelf life of the licenser’s branded line. ENTERTAINMENT: Movie stars play increased role in channels’ content plans. Older film actresses find new life on the small screen as the market for original content continues to mature. GROCERY: Sites shuttered by other companies offer business room to expand. Grocers like Haggen Inc. might have had a tough time expanding into Los Angeles, but Emeryville chain Grocery Outlet Bargain Market hopes to be a mainstay. Ricky Martin, Univision cue up boy-band hunt for Spanish-speaking viewers. Pop star Ricky Martin is using a group effort to revive singing shows by producing a boy-band competition. REAL ESTATE: Apartment owner Admire Hill steps back from condo conversion project despite downtown L.A.’s demand. Owner of downtown L.A. apartment property suddenly hesitates to move into condo conversion. COFFEE: Farmer Bros. sees shares climb after quarter’s numbers top expectations. Farmer Bros.’ cup runneth over on Wall Street after its quarterly earnings beat analysts’ expectations. HEALTH CARE: Some doctors won’t accept Obamacare fees. Surge in those insured by Obamacare can test psychiatrists’ patience because they must provide services at low prices. Firms such as AST Defeasance expect to see business climb when Fed finally hikes rates. Federal Reserve’s interest-rate boost, when it comes, could put businesses such as AST Defeasance in the money. NONPROFIT: New projects follow Nicolas Berggruen’s focus on governance. Nicolas Berggruen discusses how his institute’s focus on governance guided him to establish a new center and $1 million prize. INTERNET: Eugene Ryu’s document platform added by Littler Mendelson. Labor and employment law firm Littler Mendelson this month unveiled a new online tool designed to provide California employers with ready-made template documents to expedite some of the legal paperwork businesses are often required to complete. TV: Actor Rob Lowe says he’d prefer boys to cast their lots in law, medicine. Not every parent wants their children to follow them into the family business, and screen star Rob Lowe said that he did all he could to direct his two sons away from acting. INTERNET: Broker believes Digital Media could pull in more than $4 million. If you’ve ever wanted to own a piece of Los Angeles, now’s your chance to buy the name – online anyway. LISTING: L.A. properties could push value of deal beyond $250 million. Elon Musk’s proposal for hyperloop travel has two local firms heading down different roads to funding. Super League Gaming scores partnerships with theaters to host video-game matches. Super League Gaming partners with theaters to raise the curtain on its video-game competitions. Billionaire Eli Broad and other Los Angeles leaders might be trying to enlist Oaktree Capital Management co-Chairman Bruce Karsh, who’s company owns nearly a fifth of Tribune Publishing Co. stock, into the fight to regain local control of the L.A. Times. In a whirlwind of a transaction, social media marketing agency theAudience has been sold to Al Ahli Holding Group of Dubai for an undisclosed amount. The Los Angeles Business Journal’s index of the largest local public companies was unchanged for the week. The weighted LABJ index was flat to close at 224, with gainers outpacing losers 81 to 70. Seven companies closed the week unchanged. The founder of Westside staple Joan’s on Third on the value of hard work, following your passion and making time for what matters. Joan McNamara has created a kind of institution at Joan’s on Third where celebrities and regulars flock. The Dow Jones industrial average fell 290 points in Friday trading to close at 16,385. The S&P 500 fell 32 points to 1,958. The Nasdaq fell 67 points to 4,827. The LABJ Stock Index fell three points to 224. L.A. County’s unemployment rate fell below 7 percent last month for the first time in more than seven years, according to state figures released Friday. Getting to Sin City may get faster, thanks to plans being made by a consortium led by China Railway Group to build a high-speed railway linking Las Vegas and Los Angeles, Bloomberg reports. It would be the first Chinese bullet train in the United States. Chinese officials believe construction could begin as soon as next September, but apparently no one’s told them about CEQA. Just in time for the weekend, the Village at Westfield Topanga is scheduled to open Friday, the Los Angeles Daily News reports. While there are plenty of events throughout the weekend, not all of the stores will be open and neither will any of the 17 restaurants due to construction delays. However, when it is completed, L.A.’s newest mall will feature more than 300 stores and restaurants. AllenCo Energy Inc. has paid a settlement of $144,250 for air quality violations in the hope of resuming oil extraction operations in a South Los Angeles neighborhood near USC despite complaints from area residents who blame the oil field for health problems, the Los Angeles Times reports. The company stopped operating two years ago. The Tom Bradley International Terminal at the Los Angeles International Airport was over budget by $415 million, according to a city audit, City News Service reports. Los Angeles City Controller Ron Galperin blames the expense on the rush to finish the project early. The final price exceeded $1 billion when it was supposed to cost $621 million. More than $3 million in change orders were approved by harbor officials this week to finish work on the deteriorating Gerald Desmond Bridge, the Long Beach Press Telegram reports. The money will be used to help redesign a tunnel that is hindering the project. The bridge helps ferry nearly 15 percent of all waterborne cargo in the United States. Get ready for the “first ever" fashion show on Venice’s Snapchat as Burberry has decided to debut its London Fashion Week line on the social-networking startup, the Los Angeles Times reports. Other designers, including Michael Kors and Tommy Hilfiger, also turned to Snapchat to introduce their collections during New York Fashion Week. Snapchat has also formed partnerships with the National Football League and entertainment giant Live Nation. Los Angeles Mayor Eric Garcetti is so good at Instagram – he has more than 80,000 fans on that social network alone – that @ericgarcetti is getting his own gallery show beginning this weekend, LAist reports. His #MAYOR_OF_INSTAGRAM show will debut at the Take My Picture art gallery and include 100 photos from Garcetti’s account. The Dow Jones industrial average was down 225 points in early trading Friday to 16,450. The S&P 500 was down 21 points to 1,969. The Nasdaq was down 37 points to 4,857. The LABJ Stock Index was down two points to 225. Eyeing the next Big Thing in media, the National Football League has signed a content partnership deal with Snapchat. Donald and Shelly Sterling, the former owners of the Los Angeles Clippers, have picked up a Beverly Hills estate – with some notable neighbors – for $18.4 million. Markets were steadily rising Thursday until the Federal Reserve announced it would not raise interest rates. Though economists and investors suspected the Fed might hold off on a long-anticipated rate hike, the announcement was followed by a wild afternoon trading session that saw the market run up and then swoon. Activision Blizzard Inc., the Santa Monica video game publisher behind the massive Call of Duty and World of Warcraft franchises, has a new hit on its hands. All eyes are on the Federal Reserve, which later today will decide raise a key interest rate for the first time since the recession. Wall Street analysts and some high-profile investors doubt the long-awaited rate hike will come today, the Wall Street Journal reports. Many say it would not be wise to raise rates now given the volatile financial markets. The announcement is expected at 11 a.m. Pacific time. AMC Networks Inc., the cable home of “The Walking Dead,” is considering acquiring billionaire John Malone’s Starz, Bloomberg reports. Combining the networks would give them more leverage in negotiating fees from cable companies. Republican presidential contender Donald Trump may be the frontrunner in the GOP race, but he was on the defensive during last night’s Republican Presidential Debate, which featured 11 candidates at the Reagan Presidential Library in Simi Valley, the Los Angeles Times reports. Former Hewlett Packard Chief Executive Carly Fiorina seemed to be one of the biggest possible beneficiaries from the debate. Jobless claims nationwide declined last week to the lowest level in two months, according to a Labor Department report released today, Bloomberg reports. Los Angeles officials proposed a compromise Wednesday in which building owners and renters would share the financial burden of paying for seismic safety upgrades for older apartment buildings, the Los Angeles Times reports. Tenants could face rent increases over a five- to 10-year period with a maximum increase of $38 a month. Many renters had been concerned their landlords would make them pay higher rents in order to pay the retrofitting costs. There’s already trouble brewing for the possible merger of the world’s largest beer makers, Anheuser-Busch InBev and rival SABMiller, as the deal is likely to face serious antitrust scrutiny, the Wall Street Journal reports. The two companies together produce nearly one-third of all beer worldwide under a bevy of brands, including Budweiser, Miller, Coors, Corona and dozens of others, and both have big operations here. AB InBev has a brewery in Van Nuys, while SAB Miller has one in Irwindale. As ExxonMobil works to increase production at its explosion-damaged Torrance refinery and ease stubbornly high local gas prices, some residents of the South Bay city told their City Council this week that they want the refinery to address safety issues, the Daily Breeze reports. Meanwhile, air-quality regulators have once again postponed a hearing over whether the refinery should be allowed to ramp up fuel productions using outdated pollution controls in place of updated equipment damaged in the refinery explosion in February. If you were thinking about heading to the beach Thursday, think again. Tsunami advisories are in effect for a wide swath of Southern California after a magnitude 8.3 earthquake hit Chile, the Associated Press reports. Officials warn the possibility of powerful currents could make the water dangerous for swimmers. Think there are already enough awards shows? Time Inc. disagrees. The publishing company’s InStyle magazine is set to present its inaugural Instyle Awards to honor artists and celebrities whose “style defines the red carpet,” WWD reports. The awards dinner is scheduled to take place Oct. 26 at the Getty Center. The Dow Jones industrial average was down five points in early trading Thursday to 16,735. The S&P 500 was up one point to 1,996. The Nasdaq was up four points to 4,893. The LABJ Stock Index was flat at 226. Snapchat Adds Extra Replays for 99 Cents. Will Anyone Pay? Snapchat has launched a Replay feature that allows users to call back three disappeared messages for 99 cents. Meditation guide app Headspace has raised a $34 million round from a star-studded cast of celebrities and investors. Rancho Palos Verdes off-grid energy provider Powerstorm ESS, which has been trading on the Over-the-Counter market, has applied to for listing on the Nasdaq exchange, the company announced Wednesday. Newbury Park bike maker Giant Bicycle Inc. has signed a lease to nearly double the size of the space it takes in Los Angeles, and will move to La Mirada from Cerritos in November. Amgen Inc. announced Wednesday that it will acquire Dezima Pharma B.V., a Netherlands-based biotech that develops blood disorder treatments. Santa Monica’s Berggruen Institute, headed by billionaire investor and philanthropist Nicolas Berggruen, on Wednesday announced the launch of a new division of the think tank that will be dedicated to examining different cultures. The Dow Jones industrial average rose 140 points in Wednesday trading to close at 16,740. The S&P 500 rose 17 points to 1,995. The Nasdaq rose 29 points to 4,889. The LABJ Stock Index rose one point to 225. The Los Angeles County Supervisors are the latest group to formally call on Tribune Publishing to “restore local, established and invested leadership” to the Los Angeles Times, the Times reports. The supervisors unanimously passed a resolution to that effect which comes on the heels of a letter sent last week by local business leaders, including billionaire Eli Broad, expressing the same sentiment and disapproval of the firing of former Times Publisher Austin Beutner. And speaking of the Los Angeles County Supervisors, they have decided that no employer in the county’s unincorporated areas will be exempt from paying the county’s new minimum wage of $15 an hour, the Los Angeles Daily News reports. Supervisors Don Knabe and Michael Antonovich had proposed exemptions for nonprofits and companies hiring seasonal workers, saying the higher wage would do more harm than good. On the eve of the Federal Reserve meeting to determine whether to raise a key interest rate, the financial stability of the nation may be the determining factor in that decision – not the usual guiding factors of employment and price stability, the Los Angeles Times reports. Still, nobody knows what will happen: Only about half of economists say a rate increase will happen, according to a recent Bloomberg survey. Arcadia’s US Fine Investment Arts, Inc., which has connections to Arcadia Councilman John Wuo, is under investigation by state and federal officials for possibly swindling investors out of hundreds of thousands of dollars, the Pasadena Star-News reports. Wuo claims to know nothing about the business, but the attorney representing the alleged victims says they believed the company because a member of the government was involved. Venice’s Snapchat, the social-networking startup, is charging customers 99 cents to re-watch up to three snaps or messages that have already disappeared, CNET reports. Snapchat’s messages usually disappear after they’re watched once. The offer marks the company’s first time it has asked users for money. A hilltop Los Feliz convent that is being fought over by pop singer Katy Perry and local restaurateur Dana Hollister will remain vacant as the two battle in court over it, the Los Angeles Times reports. The dispute centers on who has the legal authority to actually sell the nunnery. However, Hollister, who recently vacated the property, will continue to pay rent to the Sisters of the Immaculate Heart of Mary’s nonprofit institute. Rob Lloyd, the former president of Cisco Systems Inc., has been named the new chief executive of billionaire Elon Musk’s Hyperloop Technologies Inc., the Los Angeles Times reports. The Arts District company aims to develop a prototype of a high-speed transportation system and hopes to build a two-mile test loop by early 2017. Beatlemania will soon be on display in Beverly Hills as Ringo Starr is preparing to auction off more than 800 pieces of Beatles memorabilia for his charity, Lotus Children Foundation, LAist reports. His first Ludwig Oyster Black Pearl drum kit will be included at the auction. The public can view the items for free on Nov. 30 at Julien's Auctions on Wilshire Boulevard, but the auction isn’t scheduled to take place until December. The Dow Jones industrial average was up 21 points in early trading Wednesday to 16,621. The S&P 500 was up four points to 1,982. The Nasdaq was down four points to 4,856. The LABJ Stock Index was down one point to 223. In a sign of the maturation of L.A.’s tech industry, venture debt financier Hercules Technology Growth Capital Inc. is opening an office in Santa Monica. The Dow Jones industrial average rose 229 points in Tuesday trading to close at 16,600. The S&P 500 rose 25 points to 1,978. The Nasdaq rose 55 points to 4,861. The LABJ Stock Index rose one point to 224. After a quick jaunt into the South Bay, Vancouver developer Onni Group has shifted its focus back downtown, putting down a nonrefundable deposit to buy a 220,770-square-foot Class A office tower at 800 Wilshire Blvd. for more than $79.5 million, sources said. Adidas AG says Skechers USA Inc. is selling Adidas knockoffs and has sued the shoemaker for trademark infringement. About 80 positions may soon be cut from the Los Angeles Times’ newsroom as the parent company looks to chop $10 million from the budget, according to Poynter.com. Cuts were expected after last week’s ouster of Publisher Austin Beutner, but maybe not this fast. Santa Monica real estate investment trust Colony Capital Inc. has paid more than $200 million to Bank of America for an 11-property office and industrial portfolio, including three properties in Los Angeles County as well as buildings in San Diego, Riverside and Sacramento, according to sources. The Los Angeles properties consist of office parks in Long Beach and Commerce and a retail center in Glendora. 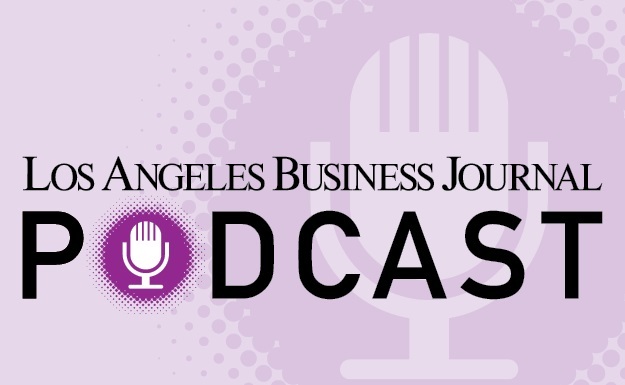 See the Los Angeles Business Journal’s coverage here. About 2,000 trees near Los Angeles streets are removed each year, causing city leaders to question whether the construction of McMansions is killing them, the Los Angeles Daily News reports. As a result, a Los Angeles City Council committee is asking for a new report to look at how some of the trees can be saved and clarify the current guidelines developers follow to replace trees after they remove them. The City Council is expected to weigh in on the issue next. Most every news outlet has done an article about billionaire philanthropist Eli Broad’s $140-million downtown museum, which opens this week. Bloomberg is the latest, and it points out that Broad is helping to raise Los Angeles to new heights as a contemporary art capital. He is on a mission “to transform a sprawl of traffic and tabloid celebrity into a vital center for contemporary art rivaling New York or London,” the article effuses. After days of record heat, cooler temperatures and rain have moved into Southern California, thanks to former Hurricane Linda, the Los Angeles Times reports. The rain may complicate this morning’s commute. Still, enjoy it while you can. The rain is expected to leave the area by Wednesday. At least one economist thinks it would be good if the Federal Reserve raises interest rates this week, CNBC reports. Most have wrung their hands over the possibility, but Jeremy Siegel thinks a higher rate would bring clarity to the markets. It’s not taxes or regulations but immigration that most needs reform, according to a recent survey of venture capitalists nationwide conducted by the National Venture Capital Association and Deloitte & Touche, the Los Angeles Times reports. Venture capitalists believe the current immigration policy hinders tech companies and start-ups from being able to have enough talent to work with. There will be plenty of “Namaste” to go around at Dodger Stadium this weekend. The L.A. Dodgers plan to bring yoga to the field Sunday by offering their second Yoga Day, LAist reports. This Sunday’s tickets will not only pay your way to the game but will also include a Dodgers yoga mat and an on-field yoga session after the game. The Dow Jones industrial average was up 48 points in early trading Tuesday to 16,419. The S&P 500 was up four points to 1,957. The Nasdaq was up 11 points to 4,817. The LABJ Stock Index was down one point to 222. Colony Capital Inc. is not pinching pennies. Just six weeks after TrueCar’s Chief Executive Scott Painter announced he would resign, the company’s president and principal operating officer, experienced auto industry executive John Krafcik, is departing to become chief executive of Google’s self-driving car division. The AIDS Healthcare Foundation on Monday filed more than a half million signatures needed for a ballot measure on mandatory condom usage in adult films throughout California. The Dow Jones industrial average fell 62 points in Monday trading to close at 16,371. The S&P 500 fell eight points to 1,953. The Nasdaq fell 17 points to 4,806. The LABJ Stock Index fell two points to 223. Billionaire Elon Musk’s Space Exploration Technologies Corp., or SpaceX, on Monday announced two new orders to launch communications satellites on its rockets. Donald Trump’s replacement as host of NBC’s “The Celebrity Apprentice” is another larger-than-life celebrity, businessman and politician: former California Gov. Arnold Schwarzenegger. Tenants at the Sunset and Gordon development in Hollywood have been ordered to move out by Oct. 4 by Mid-Wilshire developer CIM Group, the Los Angeles Times reports. CIM plans to go along with last week’s state court ruling invalidating the approval of the 22-story tower. CIM Group has faced a string of problems with the building, including being accused of illegally using it as a hotel. John Krafcik, president of Santa Monica’s TrueCar Inc., has been hired as chief executive of the self-driving car project at Google, the Wall Street Journal reports. Krafcik joined TrueCar in April 2014. Before that, he was chief executive of Hyundai Motor America. Tech companies nationwide are choosing to do business with Chinese companies, at the risk of helping companies who may later become competitors, the Wall Street Journal reports. Executives from Apple, Microsoft and Cisco Systems, among other companies, are planning to meet with Chinese President Xi Jinping when he comes to the United States later this month even though the Obama administration disapproves of some of Beijing’s policies. Dell Inc. announced last week it would invest $125 billion in China. Experts say it comes as no surprise that Washington State grocery chain Haggen filed for bankruptcy and that other grocery chains have been forced to consolidate or close. That’s because Southern California is the largest grocery market in the United States, and one of the most competitive, the Los Angeles Times reports. That might be bad news for Haggen, but the fierce competition has led to more choices for consumers and puts more pressure on stores to offer the right prices and services to remain on top. Screen Gems’ romantic thriller “The Perfect Guy” topped the weekend box office, bringing in $26.7 million, the Hollywood Reporter reports. The feat marked the fifth weekend in a row that a film featuring a mostly African-American cast has been No. 1 at the box office. M. Night Shyamalan’s “The Visit” followed close behind, bringing in $25.7 million. Sony Pictures' faith-based film "War Room" came in at No. 3, making $7.4 million. Tom Johnson, who was publisher of the Los Angeles Times from 1980 to 1990, emailed recently fired Times publisher Austin Beutner over the weekend, calling parent company Tribune Publishing’s decision to fire Beutner a tragedy. “Reversing the dynamic momentum you had ignited is reprehensible,” Johnson wrote, as reported by former Times staffer Kevin Roderick at laobserved.com. The Ronald Reagan Presidential Library is preparing for the international stage as it will host the GOP presidential debate Wednesday, the Los Angeles Daily News reports. The landmark is one of the nation’s busiest presidential libraries with 500,000 visitors a year. The Dow Jones industrial average was down 78 points in early trading Monday to 16,355. The S&P 500 was down nine points to 1,952. The Nasdaq was down 17 points to 4,806. The LABJ Stock Index was down one point to 223. REAL ESTATE: Groups say proposed plan opens door to steep building costs. A bill that would mandate doubling the energy efficiency of all buildings in the state over the next 15 years might have been overshadowed by a more controversial provision to halve gasoline consumption that was stripped from the bill last week, but it’s ambitious nonetheless. GAS: Prices at pump stay up as ExxonMobil plant stays down. ExxonMobil’s restricted refinery has only fueled local pain at the pumps from California’s towering prices. Louise Melancon hopes to recast the Crest movie theater as a site for live and streamed events. EDUCATION: President C.L. Max Nikias sees plus for students, South L.A.
C.L. Max Nikias talks how USC’s mixed-use project will break real ground for students and neighbors. FOOTWEAR: Skechers puts name on L.A. event as firm steps away from past flop. Skechers steps up its profile in the performance shoe market with Los Angeles Marathon sponsorship. I Love Lulu founder draws line against straightening locks. Salon I Love Lulu spins expanding business out of tending to naturally curly hair. PUBLICITY: Firm beefs up events, egos with paid players. Crowds on Demand has found real support as a third-party provider of actors to portray picketers and backers of political causes. Ronald Stein warns that proposed restrictions on fuel could overpower California’s economy. Forget Dov Charney. Reviving American Apparel means holding on to lots of well-paying jobs. Bruce Dobb offers a tailor-made plan for American Apparel’s recovery that cuts out former CEO Dov Charney. Austin Beutner’s dismissal from the Los Angeles Times has Charles Crumpley reading between the lines to figure out why. ACQUISITION: Two buyers ink deals for center, tower for almost $280 million. While the industry is abuzz with chatter – and panel discussions – about Asian capital flowing into downtown Los Angeles, other international players are picking up properties, and they don’t have as far to travel. REAL ESTATE: Barry Shy’s projects to help foliage take root in urban setting. INVESTMENT: Some see potential for hefty payoff in coping with drought. Adequate liquidity has taken on a whole new meaning for many wealthy Angelenos. EMPLOYMENT: Study also finds variety of medical openings across L.A. area. It’s a good time to be a registered nurse, especially if you like palm trees and sun. SHIPPING: UTi Worldwide sees shares tumble after another weak quarter. Shares of UTi Worldwide fall as the logistics firm loses its way with investors. Water Planet Inc., an Inglewood water treatment company, has concluded a Series B funding round including Paris industrial gas company Air Liquide and UCLA Venture Fund. Shortly after Osama bin Laden was killed, Brad Burlingame, chief executive of Visit West Hollywood, received a small but meaningful gift: a CIA shot glass. Eli Broad touts new museum as another foundation in buildup of downtown L.A. This story has been updated from a previous version. Eli Broad frames his new museum as another step in the revitalization of downtown Los Angeles. Sequoia to mark 18th year serving winners, losers at Emmys ball. Sequoia Productions is game to go beyond its Emmys and Oscars work to score an Olympics gig. Pretty Litter changes color to help track if feline’s feeling fine. Carly Martinetti thinks inside box with her colored kitty litter that helps track a cat’s health. MEDIA: Tribune Publishing worth a fraction of BuzzFeed. Print not so fine as firing of Los Angeles Times’ CEO points to problems at paper’s parent and with industry. Pawnbroker Yossi Dina could be out $100,000 after his brush with some stolen paintings. NONPROFIT: One Church’s Toure Roberts taps social media to expand flock. One Church Los Angeles sees social media as the future for delivering its old-time religion. The Port of Los Angeles reported Friday that it had its best August since a record-setting 790,730 containers moved through the port in 2006. Beverly Hills firm Levine Leichtman Capital Partners announced Wednesday that it has it has completed the acquisition of Calabasas eating disorder treatment firm Monte Nido Holdings, alongside the company’s management. Terms were not disclosed. The chief executive of advertising agency Omelet on making work feel like play and helping spur others to success. Along with running Culver City ad agency Omelet, Chairman and Chief Executive Don Kurz serves on the board of his alma mater, Balitmore’s Johns Hopkins University. The Los Angeles Business Journal’s index of the largest local public companies was up for the week. The weighted LABJ index rose 3 percent to close at 224, with gainers outpacing losers 107 to 40. Eleven companies closed the week unchanged. The Dow Jones industrial average rose 103 points in Friday trading to close at 16,433. The S&P 500 rose nine points to 1,961. The Nasdaq rose 26 points to 4,822. The LABJ Stock Index rose two points to 224. An article in the upcoming issue of the Business Journal says that Californians have paid nearly $3 billion extra for gasoline since an explosion in February nearly shut down the Exxon Mobil refinery in Torrance, causing prices to jump at the pump. But the plant’s plan to reopen may finally be approved by regulators next week, the Los Angeles Times reports, which could help lower gas prices in a matter of weeks. Exxon Mobil has wanted to temporarily use old air-pollution control equipment so it can increase production but regulators have balked at that proposal for months. In the meantime, the additional cost of gas has taken an average of $75 from every man, woman and child in the state. The decision to oust Los Angeles Times publisher Austin Beutner is being criticized by more than 50 L.A. business and community leaders who sent a letter to Chicago-based Tribune Publishing Co. executives on Thursday, asking them to restore the newspaper’s local leadership, the Los Angeles Times reports. The leaders argued that a commitment to Los Angeles and local causes should be the top priority. Timothy Ryan, the longtime publisher of the Baltimore Sun, has been named as Beutner’s replacement. Southern California Edison is asking state regulators not to reopen the settlement agreement over the closed San Onofre nuclear power plant, the Los Angeles Times reports. In a filing Thursday, the utility argued it would cause "serious harm to the public" if reopened. The California Public Utilities Commission approved a $4.7-billion settlement agreement last year. Consumer advocates turned against the settlement after it was revealed there had been unreported communication between members of the Public Utilities Commission regarding the shutdown of the plant. Some former workers met Thursday at the closed Pico Rivera Wal-Mart store to protest Wal-Mart Stores Inc. and repeated their assertion of poor treatment by filing a complaint with the National Labor Relations Board, the Los Angeles Times reports. The Pico Rivera store was closed in April for reported plumbing issues, although some workers believe the closure was retaliation for their campaigning for higher wages. The store is set to reopen in November. The 25-acre Beverly Hills estate, Palazzo di Amore, had been on the market for $195 million, but that price got reduced recently to $149 million, CNBC reports. The owner, billionaire Jeff Greene, now lives in Florida and says he’s more serious about selling. Palazzo di Amore, which also has a vineyard, a bowling alley and a 15,000-square-foot entertainment center, is still the most expensive finished home on the market in the United States. Someone messed with the Donald, and the Hollywood Chamber of Commerce is not happy about it. Presidential hopeful Donald Trump's star on the Hollywood Walk of Fame was recently defaced, being marked by a big, yellow "x," the Hollywood Reporter reports. Chamber officials say no one should vandalize the Walk of Fame, which is an historic landmark. It is expected to be cleaned up soon. The Dow Jones industrial average was down 74 points in early trading Friday to 16,256. The S&P 500 was down 12 points to 1,941. The Nasdaq was down 28 points to 4,768. The LABJ Stock Index was down one point to 221. Payroll processing company ADP is expanding its footprint in Southern California, opening a 325-person Innovation Center today in Pasadena. Rising Realty Partners and Mount Kellert Capital Management LP have sold two Simi Valley office buildings for $57 million, or about $119 per square foot, according to real estate data provider CoStar Group Inc. The Dow Jones industrial average rose 77 points in Thursday trading to close at 16,330. The S&P 500 rose 10 points to 1,952. The Nasdaq rose 40 points to 4,796. The LABJ Stock Index rose two points to 222. August was another record month for container cargo volume at the Port of Long Beach, and a clear sign of returning customer confidence, port officials said Wednesday. The Walt Disney Co. is moving fast on plans to open its new Star Wars-themed land at Disneyland, announcing Thursday that the company will break ground on the project next year. Parking spot finding app ParkMe of Santa Monica has been acquired by traffic data company Inrix for an undisclosed amount. The most extreme provision of the state’s climate-change bill – to cut gasoline usage in half – was eliminated from the bill Wednesday when it became clear that not enough Democrats could go along with it, the Los Angeles Times reports. However, other portions of the bill survive and Gov. Jerry Brown still vowed to find ways to cut gas use. Downtown real estate company Rising Realty Partners, which bought L.A.'s PacMutual building for $60 million three years ago, has sold that building for $200 million, the Los Angeles Times reports. Rising Realty took a gamble when it extensively remade the historic building into creative offices. The slowdown in China’s economy could spell trouble for the ports of Los Angeles and Long Beach since that country is their largest trading partner, the Los Angeles Times reports. The ports handled $200 billion in goods last year from or bound to China. Exports are expected to decline and imports may grow slowly, according to experts. If you’re looking for relief at the pump, think again. Gas prices nationwide are expected to drop to about $2 by December, but Californians won’t be so lucky, the Los Angeles Times reports. Prices are still expected to remain high here, thanks to trouble with an oil refinery and the state having some of the highest gas taxes in the nation. Los Angeles county officials plan to accelerate the plans for two rail projects in order to help boost the city's Olympics bid, the Los Angeles Times reports. As a result of fast-tracking the plan, the Purple Line, for example, would begin taking passengers in 2024 instead of 2028. Quiksilver Inc. of Huntington Beach, the company that was nearly synonymous with board shorts, has filed for Chapter 11 bankruptcy, the Los Angeles Times reports. Sales of its surfwear gear have declined because, as one analyst put it, not so many kids think surfing is cool anymore. There will also be store closures as a result of the bankruptcy. The Dow Jones industrial average was down 11 points in early trading Thursday to 16,243. The S&P 500 was down one point to 1,941. The Nasdaq was up four points to 4,760. The LABJ Stock Index was flat at 220. Atom Factory, Troy Carter’s talent management and media company, has announced the six companies participating in its inaugural Smashd Labs accelerator program. Just nine months after raising a $10 million Series A round, Santa Monica online tuxedo rental operation Black Tux closed a $25 million Series B round. Billionaire philanthropist Eli Broad confirmed Wednesday that he made an offer to buy the Los Angeles Times and San Diego Union Tribune, saying the offer was solicited by Tribune Publishing Co. Chairman Eddy Hartenstein. Gasoline is very expensive in California because of a refinery explosion in March. Who is most to blame? The Dow Jones industrial average fell 239 points in Wednesday trading to close at 16,254. Haggen Grocery, the regional chain that ballooned from 18 stores to 164 when it took over a slew of Albertsons and Vons stores in December, has filed for Chapter 11 bankruptcy, City News Service reports. The big acquisition was troubled from the beginning; both buyer and seller have sued each other and Haggen announced plans last month to close or sell 27 stores, including one in Los Angeles County and several more in Southern California. A proposed state tax credit for earthquake retrofits passed the Senate on Tuesday, and if it eventually gets the governor’s signature, it would give property owners $30 in tax breaks for every $100 spent on making homes and apartments earthquake resistant, the Los Angeles Times reports. However, there’s a cap on the amount of breaks given out each year. In Los Angeles, Mayor Eric Garcetti has proposed requiring retrofits of thousands of older buildings. As Uber and Lyft negotiate for permits to pick up passengers at Los Angeles International Airport, advocates are pressing regulators to require better access for disabled riders, the Los Angeles Times reports. Both companies are facing lawsuits across the country alleging that their drivers discriminate against people with wheelchairs and seeing-eye dogs, bringing up the issue of compliance with the Americans with Disabilities Act. A fairly new exchange-traded fund from L.A.’s DoubleLine Capital has already attracted more than $1 billion in assets and has outperformed a key index, the Wall Street Journal reports. Jeffrey Gundlach’s ETF is a bit unusual: it invests mostly in mortgage-backed securities and only 5 percent in traditional treasuries. You’re not the only one who has trouble deciding whether UCLA or USC is the better school. The two are tied for the third time in four years in the rankings of national universities by U.S. News & World Report, the Los Angeles Times reports. This time, they come in at No. 23. A private investor bought Madonna’s glam-mansion on Sunset Boulevard for $19.5 million in 2013, then put it back on the market within a year and a half, and recently flipped it for a whopping $27 million, Curbed reports. The Dow Jones industrial average was up 82 points in early trading Wednesday to 16,574. The S&P 500 was up 9 points to 1,979. The Nasdaq was up 22 points to 4,834. The LABJ Stock Index was up one point to 224. Walt Disney Co. has expanded its Disney Movies Anywhere, a cloud-based digital locker that consumers can use to store purchased Disney movies and then import that content to a variety of devices and platforms. A year spent improving the quality of the news offerings at the Los Angeles Times proved not enough to help Austin Beutner hold onto his job, as persistent budget problems and a rebuffed purchase offer from Eli Broad apparently resulted in the publisher’s termination today. The presses have stopped, and now they’re being sold. It’s a sign that Pacific Rim investors are interested in locations outside of downtown Los Angeles, sometimes at an extreme premium. IRA Realty Capital saw a $6 million gain late last month when it sold a Pasadena medical office property it acquired just last year. The Dow Jones industrial average climbed 390 points in Tuesday trading to close at 16,493. Tribune Publishing will announce later today the firing of Los Angeles Times publisher Austin Beutner, according to a report in Capital New York. The dismissal, which may be announced as a resignation, comes on the heels of a buyout offer for the Times from Eli Broad, which was rejected. Now, the newsroom is fearing a cut of $10-$20 million from its budget of $70-$75 million. L.A.’s employment picture is dimming, according to a survey to be released today by Manpower Inc., the Los Angeles Business Journal reports. Fewer local employers plan to hire and more expect to lay off employees. It took the New York Times to report on what seems obvious to many Angelenos: Apocalyptic traffic fears are in full force after the Los Angeles City Council approved a plan that would add hundreds of miles of bike lanes, bus-only lanes and pedestrian features and delete lanes for cars. The Blackstone Group is seeking buyers for four L.A. office towers in Westwood, the remaining assets from its 2007 takeover of Equity Office Properties Trust, sources told Bloomberg. Customers of Amazon and Microsoft’s video services can now watch Disney movies, Reuters reports. Does Carson’s Mayor Actually Live in Carson? The mayor of Carson, who’s leading an effort to have an NFL stadium in town, may not actually live in Carson, according to the Los Angeles Times. The Dow Jones industrial average was up 270 points in early trading Tuesday to 16,372. The S&P 500 was up 31 points to 1,952. The Nasdaq was up 2 points to 4,768. REAL ESTATE: $50 million sale would set record for L.A. market. Los Angeles moves into a new condo era with the $50 million price tag for a Four Seasons penthouse. ACQUISITION: Partnership buys $41 million property; plans corporate housing. Allan Zaremberg would like to see California charge into the creation of a Western region power grid. PUBLIC AFFAIRS: Rally’s unit will throw hat in ring for campaigns, initiatives. Public affairs firm Rally in Hollywood specializes in issue advocacy for entertainment figures and public-interest clients. ANALYTICS: Zev Eigen to add data-driven evaluations to Littler Mendelson. Zev Eigen never thought he’d end up working at a traditional law firm again after he decided in 2005 to study behavioral and policy sciences at the Massachusetts Institute of Technology. INVESTMENT: Turmoil puts focus on high valuations of institution-backed firms. The global stock market upheaval of the last several weeks is causing many tech venture capitalists to consider the effect of public market volatility on private investments, particularly late-stage valuations, which have been driven up by institutional funds entering the market. RADIO: ‘Money Hour’ at KNX also adds co-host to cover wider range of topics. L.A.’s best-known radio business program has undergone a format and title change after management upheaval. INTERNET: Grandson of Sumner Redstone looks to shape up review app Opinit. Sumner Redstone’s grandson Brandon Korff looks to shape the future of social media with an emoji-using review app. Nova Lifestyle’s gamble on new products pays off with strong showing at Las Vegas Market. MANUFACTURING: Stock of AeroVironment also hit by electric charger unit. Investors bail out of drone maker AeroVironment after the firm’s revenue nose-dives. SPORTS: Bill Hanway sees even LAX helping get bid by Los Angeles off ground. Olympics vet and Aecom exec Bill Hanway talks about the inside track to hosting the 2024 games. DINING: DineEquity plans to move Applebee’s unit into Glendale headquarters. Expansion is on the table as DineEquity plans to bring Applebee’s International into its Glendale office. The board of Cathay General Bancorp, the downtown L.A. parent of Chinese-American lender Cathay Bank, has approved the repurchase up to 2 million shares of the company’s common stock. When Phillip Maltin agreed to be filmed working out for a P90X video about eight years ago, he never thought he’d become famous. Surfer Greg Noll gives items for auction to benefit cultural center. Cultural center looks to ride sports history at auction fundraiser with surfboards from legend Greg Noll. Domain-name firm Minds + Machines Group hopes attorneys and law firms judge dot-law a good fit. TECHNOLOGY: Sensay links up its users with each other to answer questions as way to compete with AI-powered apps. Texting service Sensay touts users’ responses as the answer to competing in the question-assistance field. MANUFACTURING: Donald Friese reaps $1.3 billion from deal. Glass products maker cracks billionaire’s club with sale of his company, CR Laurence. Caleb Garrett says low price point of Hawkers wears well with buyers. Hawkers’ Caleb Garrett hopes online shoppers give the low-price sunglasses brand a look. Downtown Los Angeles offers a firm foundation to six of the 20 largest projects in the county. It’s no laughing matter: The Joker has been put out of business. Snapchat said its users are viewing as many as 4 billion videos a day, a count that is equal to numbers reported by rival Facebook. The chief executive of Giroux Glass on being a working mother, making tough decisions and tackling a male-dominated industry. It’s been less than a year since Nataline Lomedico took over as chief executive of Giroux Glass Inc., but she’s been with the company for more than a decade, standing her ground in the male-dominated construction industry. Beverly Hills firm Levine Leichtman Capital Partners announced Tuesday that it had completed the acquisition of Dallas environmental consulting firm Trinity Consultants Inc. Terms were not disclosed. The Los Angeles Business Journal’s index of the largest local public companies was down for the week. The weighted LABJ index fell three percent to close at 217, with losers outpacing gainers 111 to 41. Six companies closed the week unchanged. The Dow Jones industrial average fell 272 points in Friday trading to close at 16,102. The S&P 500 fell 30 points to 1,921. The Nasdaq fell 50 points to 4,684. The LABJ Stock Index fell three points to 217. Snapchat Chief Executive Evan Spiegel takes a selfie in front of 10,000 attendees of Mexico Siglo XXI, a youth rally in Mexico City put on by Mexican billionaire Carlos Slim's organization Fundación Telmex. Santa Monica document sharing company Docstoc Inc. will shut down Dec. 1, two years after it was acquired by financial and tax software developer Intuit Inc. Restaurant operator DineEquity Inc. is moving the headquarters of its Applebee’s International Inc. from suburban Kansas City, Mo., to its Glendale corporate home at 450 N. Brand Blvd., the Los Angeles Business Journal reports. Numbers supplied by the company suggest more than 100 jobs would be created or imported in Glendale. The private sector last month added only 173,000 jobs in August, which was way below the 220,000 expected, the Bureau of Labor Statistics said this morning, CNBC reports. Unemployment ticked down, but the labor participation rate – the share of employable adults who actually have a job – is at a 40-some year low. Also, stocks dropped after the report was issued, the Wall Street Journal reports. All those ads in your mailbox and on TV are not in anticipation of an upcoming election but part of a fight over a state bill that would cut gas consumption in half, the Los Angeles Times reports. Oil companies are against the bill, which has already passed the state Senate, but those who support the legislation say the ads are simply scare tactics. The Pico Rivera store that was targeted by unions – then closed by Wal-Mart Stores Inc. five months ago for what the company referred to as plumbing repairs – is about to reopen, the Los Angeles Times reports. Company officials say they will soon begin hiring for that store and four others that were closed nationwide. However, the unions had filed a complaint, accusing the company of closing the store to punish workers who participated in a strike three years ago. California fined 30 oil companies Thursday for not meeting a deadline to report information about water usage in their production of oil and gas, the Los Angeles Times reports. By law, the companies must report such data to the California Department of Conservation. The companies were fined $4,500 and could face more penalties if they do not meet future deadlines. Attorneys are at odds over the proposed deal that would settle the lawsuits over erroneous bills that were sent to some residents because of the Los Angeles Department of Water and Power’s faulty billing system, the Los Angeles Times reports. Some residents’ lawyers want the court to turn the settlement down because they say it has “fatal flaws.” A court will decide whether to grant preliminary approval to the settlement next week. Biggest Labor Day Travel Weekend? Record crowds are expected at Los Angeles International Airport this holiday weekend, the Los Angeles Times reports. About 835,500 are expected to fly through LAX this Labor Day weekend, a 7 percent increase over last year's record, and Friday should be the busiest day, according to airport officials. Maybe companies can do something about disgruntled employees who post sensitive inside data. A former mechanical engineer for Tesla Motors Inc. is being charged with two counts of what’s called felony computer intrusion after leaking confidential information about Tesla, the Los Angeles Times reports. Prosecutors say Nima Kalbasi, a 28-year-old Canadian citizen, posted confidential information about the company on a public website. He could possibly face six years in federal prison if convicted. Beverly Hills seems to be synonymous with backyard pools, which is why some residents have been panicking recently over rumors of a moratorium on pools, the Hollywood Reporter reports. However, city officials say the rumor – which was sparked by a recent, temporary pool ban in Laguna Beach – is based on more fiction than fact. The Dow Jones industrial average was down 246 points in early trading Friday to 16,129. The S&P 500 was down 26 points to 1,925. The Nasdaq was down 47 points to 4,687. The LABJ Stock Index was down three points to 218. Should Tech Companies Offer Unlimited Vacation? For all the demands of working at a startup or high-growth technology company it would seem there’s no time for vacation. Yet, paradoxically, many companies offer unlimited time off. Coffee Bean & Tea Leaf named John Fuller, former president and chief executive of Johnny Rockets Group Inc., its new chief executive on Thursday. Molina Healthcare Inc. is continuing its buying spree. The Long Beach managed care provider acquired two mental health subsidiaries of Tucson, Ariz.’s Providence Service Corp. for about $200 million. Mid-Wilshire’s CIM Group has sold a seven-story, 87,000-square-foot Class A office building at 1800 N. Highland. Charles King’s multicultural-focused content shop Macro has raised a funding round led by Emerson Collective, the investment firm run by Steve Job’s widow Laurene Powell Jobs. Amgen Inc. faces a new type of competition with the launch of Zarxio, the first biosimilar drug approved for sale in the U.S. The Dow Jones industrial average rose 23 points in Thursday trading to close at 16,375. The S&P 500 rose two points to 1,951. The Nasdaq fell 16 points to 4,734. The LABJ Stock Index fell one point to 220. President Barack Obama has announced he is “strongly supportive” of the 2024 Olympics being held in Los Angeles, City News Service reports. However, his support of his hometown of Chicago failed to help that city win the 2016 Olympics. Mayor Eric Garcetti, along with a delegation, visited Switzerland this week to officially present the bid to the International Olympics Committee, which will choose the site in 2017. It turns out that regulating homesharing is not easy. Los Angeles city officials have proposed allowing people to rent out their primary residences, not second homes, for short stays only, the Los Angeles Times reports.. But the Los Angeles Short Term Rental Alliance, which has been critical of Airbnb, is criticizing the proposal, saying people should be allowed to rent out second homes and other investment property. More hearings on the subject are scheduled for this fall. Just months after NBC ended its relationship with Donald Trump for his remarks about Mexican immigrants, Trump has become ratings gold for cable networks, the Los Angeles Times reports. About 24 million people watched Fox's Republican Primary debate last month, a cable news record. Record viewership is also expected for CNN’s Sept. 16 Republican debate for which advertisers may pay about $150,000 for a 30-second spot. Sony Pictures Entertainment has reached a settlement to resolve a proposed class-action lawsuit brought by former employees who said the company did not do enough to protect their personal information, which was exposed in last year's cyberattack, the Los Angeles Times reports. That was the hack, blamed on North Korea, that forced Sony to change release plans for "The Interview," a comedy about a plot to assassinate North Korea’s leader. Sony’s co-chairwoman Amy Pascal also left the studio after the breach revealed embarrassing emails between Sony executives and Hollywood power players. The settlement terms have not yet been disclosed. Tesla Motors is planning to deliver its new Model X cars later this month, Owner Elon Musk announced on Twitter Wednesday, the Los Angeles Times reports. A fully loaded Model X, which will fit seven adults, will sell for $132,000. A cheaper Model 3, which is expected to sell for around $35,000, won’t go into production until about two years from now. Soon there will be even more room to roam at Ikea as construction has begun on a Burbank Ikea that’ll be the biggest one in the United States, LAist reports. The new 456,000-square-foot store will be twice as large as the original location about a mile down San Fernando Road near the 5 freeway. It’s expected to open in the spring of 2017. The California State Teachers' Retirement System, the second-largest public pension system in the nation, is weighing a new strategy in which it would move up to $20 billion of its $191-billion portfolio into bonds and other safer bets to lower its risk of losses, the Los Angeles Times reports. The fund's investment committee met Wednesday to discuss the plan amid the recent volatile stock market. But, of course, there is a big problem: the move would hinder the fund’s ability to attain its investment target of 7.5 percent, which it needs to help meet its obligations. If you want a new phone number with a 323 area code, you’d better do it quickly because that area code is running out of numbers, LAist reports. The California Public Utilities Commission says it will soon start assigning 213 area codes – which had been reserved for downtown – to the 323 area. The Dow Jones industrial average was up 93 points in early trading Thursday to 16,444. The S&P 500 was up 14 points to 1,963. The Nasdaq was up 16 points to 4,766. The LABJ Stock Index was up one point to 222. Hulu has launched an $11.99, advertising-free monthly subscription plan, adding to the number of ways the streaming subscription service makes money from its content and putting it in direct competition with Netflix. The Federal Trade Commission last week scheduled a vote to approve a settlement reached with YouTube multichannel network Machinima Inc. that would bring to an end its deceptive advertising charge against the company. Audio technology company DTS Inc. plans to acquire iBiquity Digital Corp., a developer of high-definition radio technology, in a deal valued at $172 million. The Chatsworth factory that once turned out Hot Pockets frozen sandwiches has been sold to a Chinese company that was the exclusive supplier of dumplings to the 2008 Beijing Olympics. Steven Spielberg’s DreamWorks Studios is looking for a new distribution deal as its current arrangement with the Walt Disney Company is set to expire next year, according to the Hollywood Reporter. Would you like the Olympic games to be held in Los Angeles? The Dow Jones industrial average rose 293 points in Wednesday trading to close at 16,351. The S&P 500 rose 35 points to 1,949. The Nasdaq rose 114 points to 4,750. The LABJ Stock Index rose five points to 221. The state's new Fair Pay Act, which aims to close the salary gap between men and women, may be the most aggressive such stance in the nation, the Los Angeles Times reports. It was passed by the California Senate Monday and aims to ensure that men and women who work in both the public and private sectors receive the same pay for doing similar work. Employees also will be able to discuss their salaries without facing retaliation from employers. It’s unclear how much of a new burden would be placed on the state’s businesses as a result. Korean businesses represent at least a third of those in the downtown garment district, generating at least $10 billion in annual revenues, according to the Korean American Apparel Manufacturers Association. But now some Korean apparel makers are considering moving to El Paso, the Los Angeles Times reports. They say the hike in the minimum wage here and strict labor laws are mainly to blame for their desire to relocate. El Paso has fewer regulations, cheaper rent and an abundance of skilled laborers. Downtown L.A. commercial real estate giant CBRE Group Inc. is now even bigger, having wrapped its deal Tuesday to acquire Global Workplace Solutions at a cost of nearly $1.5 billion, the Los Angeles Times reports. As a result, CBRE is now one of the largest property managers worldwide, making it less reliant on commissions from brokering the sales and leases of commercial real estate. The private sector added 190,000 jobs in August, according to a Wednesday morning report from payroll firm ADP, below the 201,000 jobs that were expected, CNBC reports. While investors are still worried about China’s economy, prices were up on Wall Street early Wednesday with the Dow Jones industrial average gaining 195 points, the Wall Street Journal reports. Still, the recent volatility is causing some to wonder whether the Federal Reserve will raise interest rates this month. For those who love McDonald’s breakfast, soon it will be available all day. Beginning Oct. 6, McDonald’s will offer select breakfast options, including Egg McMuffins and hot cakes, available anytime and anywhere, Bloomberg reports. McDonald’s has been suffering a sales swoon, and the move is an effort to help the chain compete with others already offering breakfast 24 hours a day. The Dow Jones industrial average was up 190 points in early trading Wednesday to 16,248. The S&P 500 was up 20 points to 1,934. The Nasdaq was up 61 points to 4,697. The LABJ Stock Index was up two points to 218. After rolling out sponsored posts this spring, anonymous social media network Whisper is ramping up its advertising sales, hiring Shelby Haro as its first vice president of sales. The Los Angeles City Council cleared the way for the city to bid on hosting the 2024 Summer Olympics by voting unanimously Tuesday to support it. IPC Healthcare Inc. is set to be acquired later this year, but that isn’t stopping the firm from making an acquisition of its own. The Dow Jones industrial average shed 470 points in Tuesday trading to close at 16,058, erasing much of the gain from last week’s market rally. The S&P 500 fell 58 points to close at 1,914. The Nasdaq fell 140 points to close at 4,636. The LABJ Stock Index fell six points to close at 216. After bagging a $4.9 million seed round in May, live-streaming mobile video game platform Mobcrush has raised an $11 million Series A.
Buzzfeed might soon lease a 250,000-square-foot building at the old Ford auto factory in the Arts District downtown, the Wall Street Journal reports. The building could hold as many as 1,500 to 2,500 employees. NBCUniversal Inc. made a $200 million investment in the digital publishing giant last month in an effort to attract younger viewers. Gasoline prices in California have been above – way above – national averages because the Exxon Mobil refinery in Torrance has been hobbled since an explosion in February. And now, a hearing scheduled for Wednesday on whether to allow the refinery to increase operations has been postponed by air quality officials, the Los Angeles Times reports. Exxon Mobil wants to use old air-pollution control equipment temporarily so it can increase production at the same time it reduces other emissions from the plant. But regulators seem unconcerned about $4 a gallon gasoline and want to study how the proposal would impact area homeowners. There was trouble anew when the stock markets opened on the first day of September; the Dow Jones industrial average quickly fell more than 350 points and into correction territory, CNBC reports. The New York Stock Exchange also invoked the little-used Rule 48 for its fourth time in two weeks in an effort to stabilize trading. Some key economic reports are expected later Tuesday, including data on construction spending and nationwide car sales, which could affect stocks, one way or the other. A four-diamond JW Marriott Hotel is being proposed near Disneyland at the Anaheim GardenWalk in the hope of taking advantage of the city’s incentive program that allows any four-star hotel built there to be reimbursed for 70 percent of the city’s bed taxes for 20 years, the Los Angeles Times reports. But some are opposing the program, including Anaheim residents, and are legally challenging it, which could delay the project. It’s a tightrope Wal-Mart is trying to walk. It wants to keep prices low and earnings up while spending $1 billion to raise employees’ wages to at least $9 an hour. So far, not so good. Wal-Mart missed analysts’ expectations last quarter, and now it is cutting the hours of some workers during the busy back-to-school season, Bloomberg reports. This may be little surprise to business people, who have long warned that higher wages leads to fewer hours for workers. Thanks to popular movies, including Universal Pictures’ “Jurassic World,” Walt Disney Co.’s “Ant-Man” and Universal’s “Straight Outta Compton,” this summer’s box office total could be one of the strongest ones yet, the Los Angeles Times reports. Ticket sales are expected to reach $4.4 billion in North America by Labor Day which is up 8 percent over last summer. Despite this, movie attendance is still down as many fans are opting to watch films at home instead. Reality TV star Kim Kardashian, giving into the Federal Drug Administration, posted a new tweet this week mentioning the risks associated with the pregnancy drug Diclegis, for which she’s a paid spokesperson, Bloomberg reports. She came under fire earlier this month for praising the medication on her social media accounts without warning her followers of its side effects. However, her new posts were quickly buried by photos from the MTV Video Music Awards in which her husband, Kanye West, announced he plans to run for president. The Dow Jones industrial average was down 364 points in early trading Tuesday to 16,164. The S&P 500 was down 42 points to 1,930. The Nasdaq was down 87 points to 4,689. The LABJ Stock Index was down four points to 218.